DLR has its headquarters in Cologne. The site is located next to Cologne-Bonn airport. Approximately 1,500 employees work in the institutes and facilities and in the central administration. Space flight is one of the main research areas at the site in Cologne. The effects of microgravity on the organisms of humans and on materials revolving in an orbit around the Earth are investigated. A broad range of cross-disciplinary experiments involving the Institute of Space Simulation, the Institute of Materials Research, the Institute of Aerospace Medicine, the Microgravity User Support Center (MUSC) and the European Astronaut Training Center demonstrate close cooperation and expertise. Aviation research, another main research area at DLR Cologne, focuses on the development of new materials and on the optimisation of propulsion technologies. Emphasis is on reducing emission values and - at the same time - increasing performance and reliability. 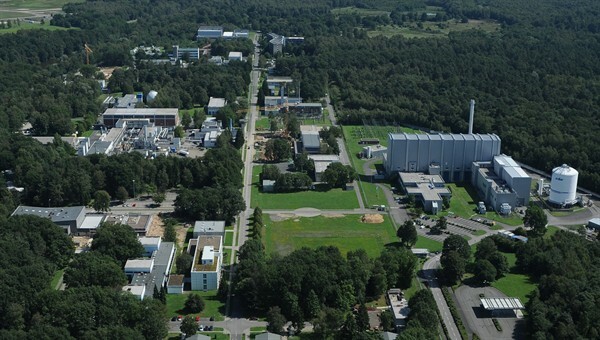 These activities are supported by numerous large-scale test facilities, e.g. wind tunnels, engine and materials testing systems. The immediate vicinity to the European Transonic Wind Tunnel (ETW), the most modern and efficient installation of its kind, is an invaluable asset in this work. Energy technology, the third column of the location's scientific undertakings, focuses on regenerative energy sources. DLR commands a high-flux density solar furnace that concentrates the sun's radiation 2000 to 3000-fold and is used for solar-technological and solar-chemical experiments. In the field of Transportation Research the relevant Institutes and Facilities work on subjects such as Air Transport Forecast, Airport Research. Besides space medicine, the DLR-Institute of Aerospace medicine also deals with life science and psychology problems concerning traffic and aviation. The Institute's research activities are focussed on the central task of providing for the health and performance of the persons involved (pilot, crew, passenger, astronaut, motorist, resident etc. ).